Saas-Fee and the Saas Valley is a sunny paradise for those who love winter sports and appreciate a resort where snow is guaranteed! 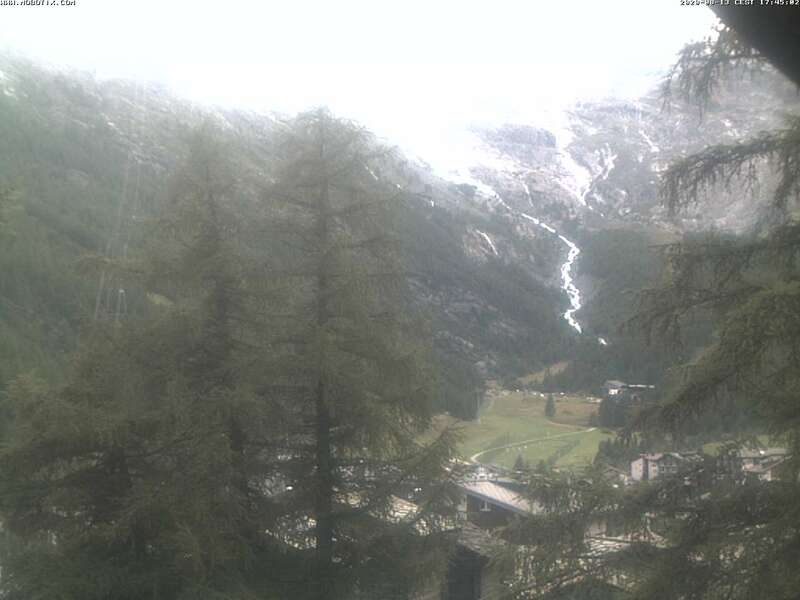 Whether it lures you to the slopes or offside Saas-Fee thrill with absolute snow guarantee until far into the spring. Further as well you can enjoy long hours of sunshine! 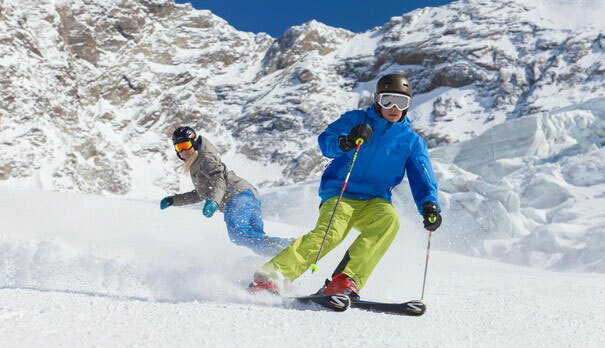 Ski fun up to 3,600 m above sea level and a total of 145 varied kilometers of well prepared slopes in the Saas Valley are waiting for you. Steep professional pistes, a cool freestyle park or just a kids beginner's park. There are pistes for everybody in a sunny snow guaranteed ski an snowboard area. 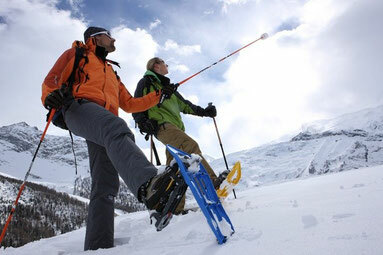 Snowshoe hikes are an ideal way for non-skiers to discover the delights and wonders of the Saas Valley. Come and explore our winter wonderland! 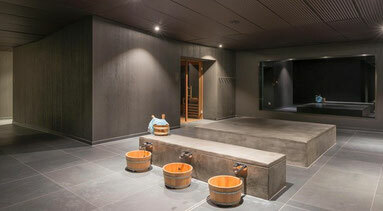 Do you want to enjoy some quiet time this winter, away from parties and social engagements? Perhaps the stillness and serenity of a snow-covered forest would do the trick? 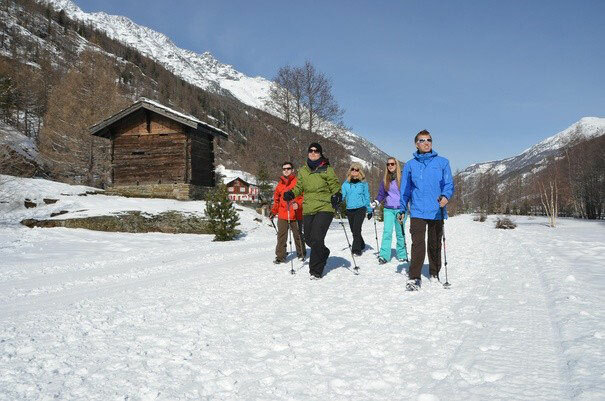 In the Saas Valley 60 km of well-maintained winter hiking paths await you. If you have the right equipment, a winter ramble provides the perfect opportunity to relax and get away from it all. Saas-Fee (Hannig), Saas-Grund (Kreuzboden) and Saas-Almagell (Furggstalden) all have thrilling and well-groomed sledging runs. Fun for the whole family! 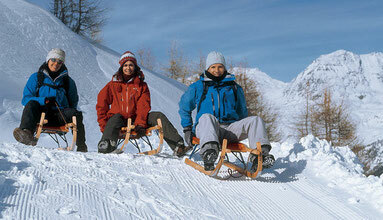 Tip: For that extra kick, why not try sledging at night on Hannig? 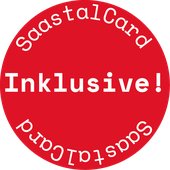 more winter fun in saas valley!